There’s no place like home, especially if the said home is designed with minimal environmental impact in mind. Even though environmental safety may not a home make all on its own, it’s still vital for lasting health and a safer and greener future for the generations to come. But how do you tell if your nest is 100% safe from eco-hazards, and what are the most common environmental issues you should eliminate from your private safety bubble? Frequently found in insulation, pipe wraps, slate shingles and siding, as well as floor and ceiling tiles, asbestos is one of the most common environmental hazards that you can find in your home and it can cause mild to severe respiratory problems, lung inflammation, and even cancer. For this reason, every homeowner should run asbestos testing and surveys. In consultation with asbestos removal experts from Melbourne I’ve learned how dangerous it can be to delay getting this issue sorted. Therefore, I recommend asbestos management options that are best suited to the specific needs and condition of the household. Airborne allergens are all too real a problem in most homes, but their effects don’t stop at the sneeze level. Mold, tobacco smoke, pet hair and dander, dust mites, and similar air pollutants are all common asthma triggers, and as such have no place in a healthy home. Clean the air of irritants: have rugs, carpets, and heavy drapes steam-cleaned or ditch them altogether, update your vacuum cleaner with a HEPA filter, swap old pillows and mattresses for their hypoallergenic counterparts, and clean HVAC filters regularly to minimize risk of allergies and asthma attacks. Pests such as cockroaches, rodents, ants, and bed bugs may be Mother Nature’s children, but it still doesn’t make them welcome guests in a healthy and eco-friendly house. Home-based pests transmit diseases, which is why you should take active steps to chase them off the property, for the sake of your family’s wellbeing. When pest-proofing your home, it’s best to use natural, eco-friendly techniques: essential oils, houseplants, and non-toxic homemade repellents will keep your nest safe from creepy crawlies without adding extra points to your household’s ecological footprint. Toxic metals such as lead, mercury, cadmium, and chromium have been linked to increased risk of various health problems, and they’re extremely harmful for the environment, too. Have your household tested for heavy metals from the floor up, and take the steps to eliminate them from your property without ado, just to stay on the eco-safe side of home maintenance. You can also have the water tested for toxic content: in case the results come back positive, you can upgrade your kitchen tech with a water purification system. By cleansing the H2O supply from potentially hazardous particles, you will get to both reduce the risk of poisoning and trim your household’s environmental impact by a single blow. Radon is a colorless, odorless radioactive gas found in the soil that can sneak into your quarters through cracks in concrete. Unless detected and remedied on time, radon emission can lead to poisoning and even lung cancer, which is why you may want to have your premises tested for radon. You can check radon levels on your property with the help of a simple-to-use test kit, but if you don’t want to take any risks, you can hire professionals to inspect your home and suggest the best ways to put an end to the emission of the hazardous gas. Unfortunately, radon isn’t the only dangerous gas you may stumble across in your home. Other potential hazards in an airborne guise which may compromise your home’s safety and its impact on the environment include carbon monoxide, VOC paint, and chemical solvents and pesticides. Unless detected and removed from your home, these toxic substances can lead to poisoning and even death, which is why home inspection services recommend that homeowners should run preliminary tests before moving into their new nest. Home is where the heart is, so make sure your nest is free of harmful chemicals, allergens, and toxic gases. By eliminating pollutants from your nest, you will be doing a major favor to both the environment and your family’s long-term health. 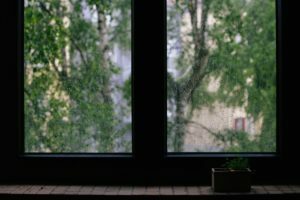 Don’t get locked out of safety and comfort in your home, sweet home over neglect: have your quarters tested for environmental hazards and carry out a floor-to-ceiling detox without delay to hack long-term benefits for both yourself and the planet. Even though environmental safety may not a home make all on its own, it’s still vital for lasting health and a safer and greener future for the generations to come. This entry was posted in Home Improvement and tagged Airborne Allergens, Asbestos Management, Asbestos Removal, Asbestos Removal Experts, Asbestos Removal Melbourne, Clean the Air, Common Allergens, Environmental Hazards, Environmental Health, environmental health guide, Environmental Issues, Environmental Safety, Health Guide, healthy home, Minimal Environmental Impact, safe home. Bookmark the permalink.